Shopkit offers a wide range of different styles of elegant illuminated contemporary glass freestanding display cabinets with refined detailing and minimalist construction. Our glass freestanding display cabinets are all beautifully produced in high quality satin polished stainless steel, mirror polished stainless steel and satin anodised aluminium, which is combined with toughened glass, wood veneers and coloured laminates. 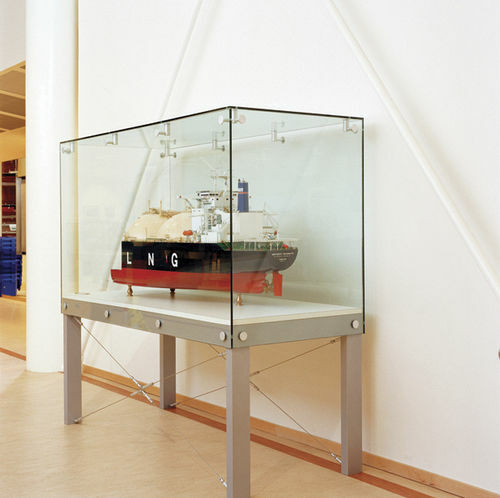 Our modern glass freestanding display cabinets are perfect for retail interiors, shop in shops, office receptions, museums and hospitality environments and they can include different features such as lockable hinged or sliding doors, low-voltage L.E.D. or Halogen lighting. 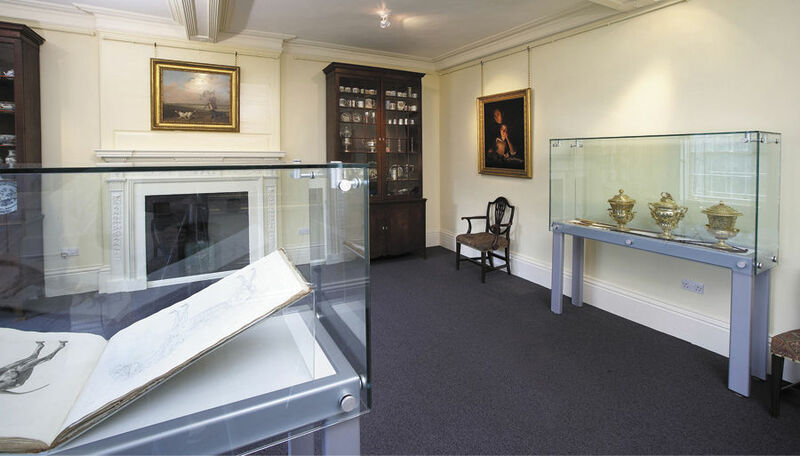 Our display cabinets can also include a wooden plinth base with optional lockable storage areas and there are different ways to suspend the internal display shelves depending on Clients’ preferences.